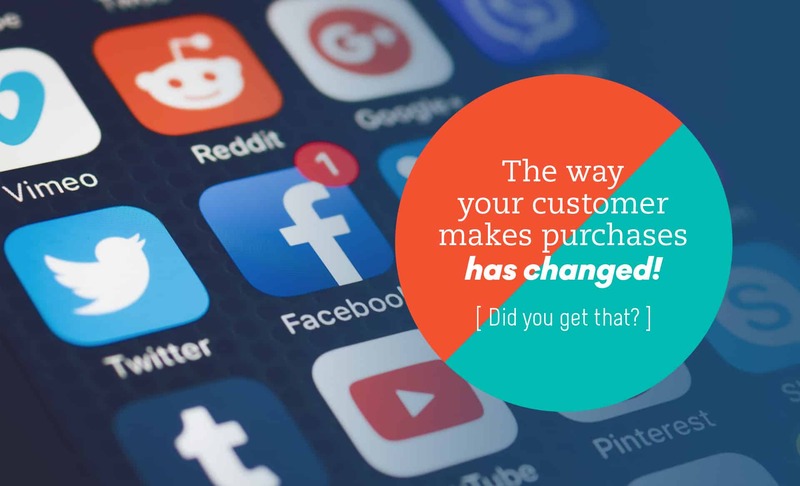 The way your customers make purchasing decisions has changed. Stop for a moment to fully understand this statement, because most businesses owners still think social media is not for their type of business, and therefore not a part of their sales strategy. We’ve found almost every service based business we've spoken with over the last 4 years, have had a decrease in referrals. This is impacting business growth. And the reason is simple to explain... the hard-to-find information we once sought from trusted friends and family, is now easily accessed in seconds via the phone in our pocket. Regardless of what type of business you run, your customers have all the answers to their problems in the palm of their hands. The impact of instant online searching on traditional sales efforts will affect the way in which you attract new business regardless of your industry or size. Sales people were once the gatekeepers of information. If you wanted to know about a product or service, you had to pick up the phone, find a review in a magazine or go in-store to learn more. That has all changed. Today, your customer has already done their research by the time they are ready to purchase. If you have not helped in their pre-purchase phase with reports, white papers, checklists or guides, your competitors have. They are now the first in line to take the sale away from you. If you are like most of our clients, knowing where to start with your digital sales strategy can be overwhelming. We know that feeling because we've also needed to make the change and now fully understand the new environment that we play in. Change is always hard, however, in our experience, often leads to better outcomes. The digital environment offers so much leverage and consistency, and we find business owners don’t know how they ever survived without it! Efficiently handle multiple inquiries with automated digital processes. By developing a customer user journey, smart business operators are taking advantage of the ability to efficiently handle multiple inquiries with automated digital processes and sales funnels without overloading staff or needing to scale headcount. These provide a considerable advantage. When consumers have a problem, they enter an evaluation mode and immediately jump online to seek some options. They search for suppliers and compare prices to form an idea of what the solution may look like. When closer to making a decision, they’ll read reviews and comments as they seek the best alternative. This is why social media for every type of business is not only important but crucial to surviving long term. An automated stream of leads is entirely possible. Yes, digital platforms are volatile and ever-changing, BUT the benefits are grand. 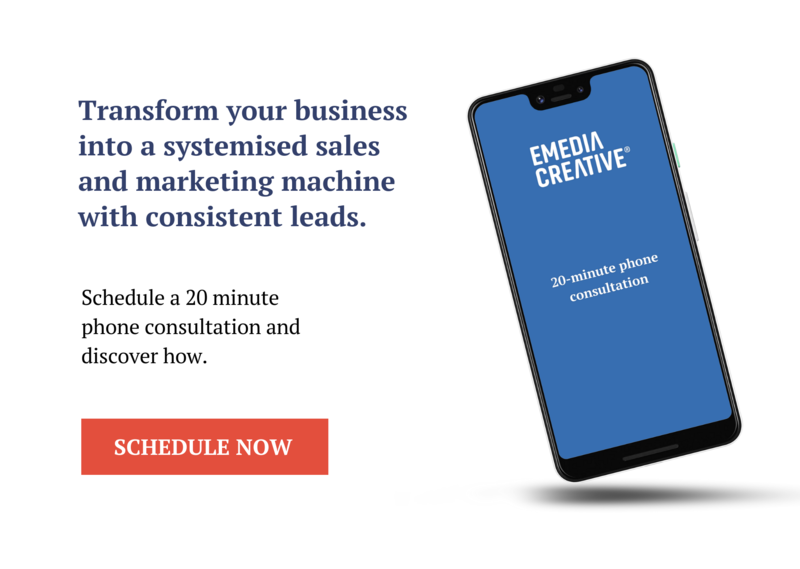 The biggest issue we see is not having the right expectations or systems in place to deal with the number of leads processed efficiently. If you can make that work, you can automate your sales funnel and systematically grow your business. The social strategies we use at Emedia Creative are straightforward. #1 - a precise and strategic offer to a cold audience. #2 - we warm that audience. #3 - once trust has been built, we make a sale. You have to develop a relationship online before you can sell a valuable product or service just as you would offline. Asking for the sale on your first interaction before establishing trust, will rarely end well. Talk to us about your social strategy today.